From being undefeated in the underground battle rap arenas, Kultcha makes his mainstream solo debut with a street banger called "This Year" produced by Siege. It's a song that brings the promise of success to every hustler/every hard-working individual. 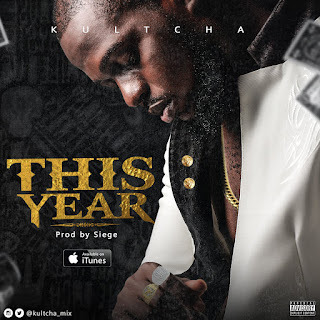 Kultcha who is known for being the sound Engineer behind successful mixes such as P-Square's Bank Alert and Nobody Ugly, May'D's Koba and Bamilo featuring Wizkid, Phyno's Financial Woman and many more, proves that he can hold his own on the mic as well as behind a mixing console. He's also a member of the underground super rap group "Wolfpack" which comprises of Tek Raymond, Oga Believe and Siege.